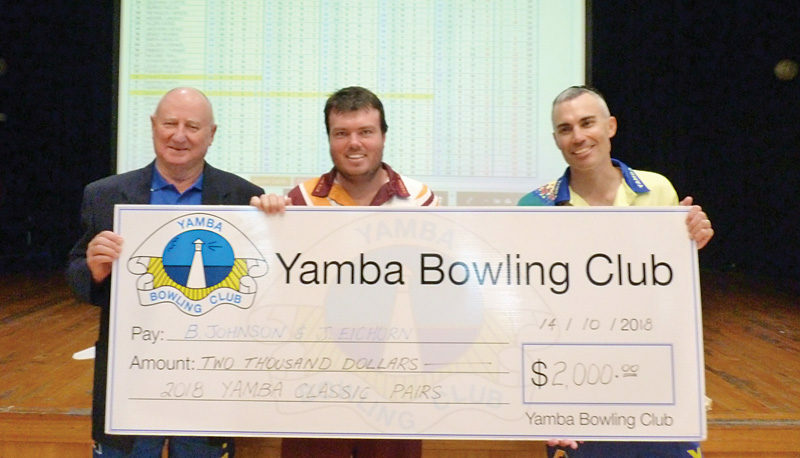 The 2018 Yamba Classic Pairs tournament was contested over the weekend under difficult conditions. There were 52 teams of brave and robust bowlers who were confronted with wave after wave of showers and fluctuating temperatures. However, the ironmen of the playing groups conquered the elements and completed five rounds of arduous competition before the final results were determined. After three rounds on Saturday, ten sides remained undefeated with Terry Knudsen and Kris Lehfeldt the overnight leaders with a total margin of 41 shots but with several sides close on their heels. Late call-up, Neil Franey, teamed with Paul Staggard and surprised several pundits when they were in the overnight leading pack with three wins and a total margin of 27 shots. 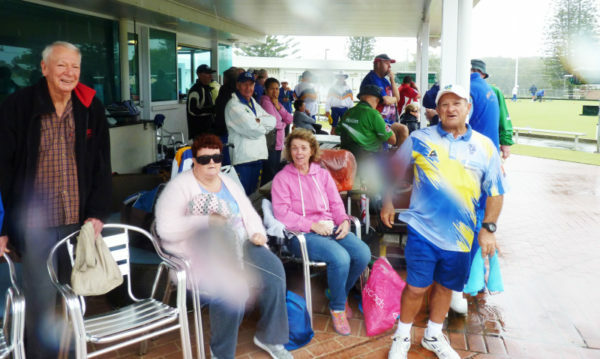 Conditions did not improve overnight, however all 52 teams returned to the battle zone for another two rounds of the cut and thrust of tournament lawn bowls. After several ends of the fourth round it appeared that Brad Johnson and Jamie Eichorn’s unbeaten run was about to come to an abrupt conclusion when the trailed by nine shots to nil against John Wilson and Bob Fuller who were also unbeaten at this stage. Although in serious bother, Brad and Jamie remained calm and as results started to fall in their direction, the margin on the scoreboard began to narrow. The final result was a miraculous one-shot victory to Brad and Jamie by 11-10. Six teams went into the final round undefeated with the result far from decided. Drama again followed Brad and Jamie with them, requiring a large margin to overhaul the other unconquered combinations. Playing inspired bowls, they managed to dominate their match against the talented combination of Jayson Pinnock and Waz Turner by 26-8, including a haul of six shots on the final end. Ultimately, this was enough to take the tournament by a single shot and claim the $2,000 first place prize money. Particular acknowledgement needs to be made to Graeme Brown and his team of greenkeepers and the legion of volunteers that ensured the tournament proceeded in a professional manner and with a minimum of fuss.